This is the first Liebster award nomination to Foodeez Junction. Thanks Vikram Bishla for the nominations! All smiles! I was really surprised when he nominated our food blog for the Award. This is really a nice gesture. I would like to thank him again! Vikram has written many interesting stories on Blogmaniac, which are related to spirituality, challenges and creativity. Find more on his blog. The 13-word story is something that attracted me more. 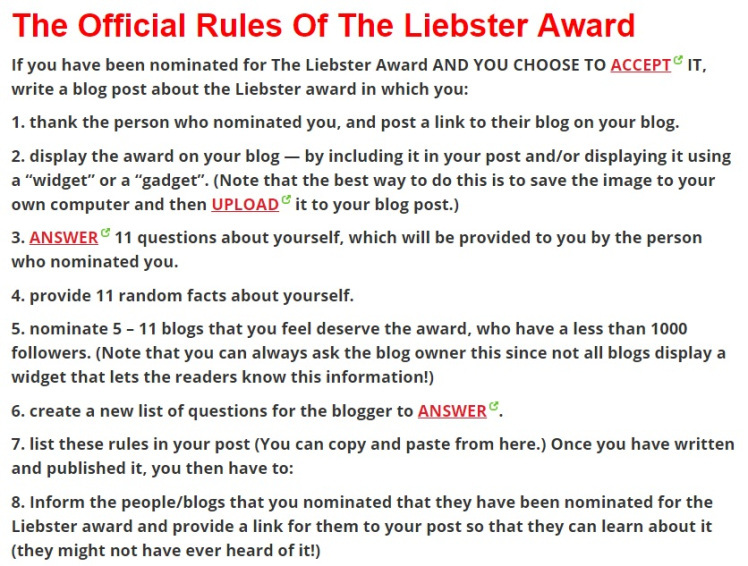 What is Liebster Award? This Award is given by bloggers to the bloggers who have less than 1000 followers. I love to eat Indian street food. When I’m very much focussed at work, I sing endlessly till the work is done or someone points me out. If something else is going on my mind, I write the alphabets of a word in wrong order; example: wrogn. I’m very lazy at times. I want to travel each and every part of India. There are many, personal and professional. But I would say the recent one (5-6 months back) and a personal, I guess. 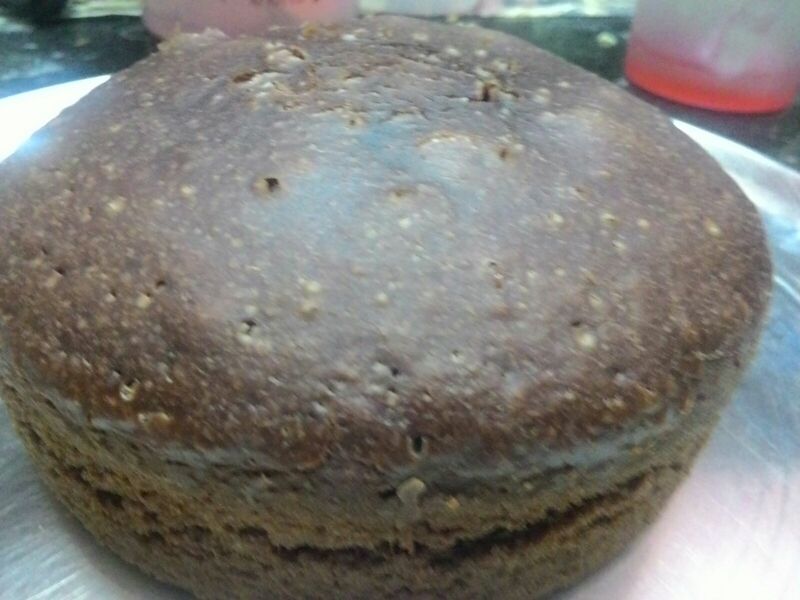 When I made chocolate cake in pressure cooker. It was delicious and yummy. And I was so overwhelmed on how it turned out to be perfect that I was carrying it and showing it off to everyone all around my home and on video calls too. Crazy! I am! The one thing you want to change in you? One thing that you want to change about your country? Population. There are issues like pollution, political system, etc but I feel population is something that immediately to be looked upon, else it will be too late. I can already find the traffic chaos even in smaller cities, leave the metros. Are you an outsider or insider? I’m an outsider and at times insider too, that depends completely on what and for whom I am writing. I would say one should be equally proficient as an insider and an outsider in their writings. Though sometimes it is difficult. Adding one more point – one should not restrict himself/herself to be an insider as it creates a boundary and will keep the minds closed on significant topics, styles, etc. Kahlil Gibran, I love reading his Broken Wings again and again. Well I’m short-tempered but my speed of writing and cooking increase when I’m angry; so I count my anger as one of my strengths 😀 . Back to the question, while cooking dosa (to be precise), when it sticks on tawa for more than three continuous times, I get angry and leave it for my husband to make. I’m still learning the art-of-cooking-a-perfect-dosa, a popular Indian cuisine. Sounds hilarious but it’s true! When your “I CAN’T” becomes “I CAN” – it is success. When you are happy and have a relaxed smile, you are wearing success with you. For me success is living my true purpose, and having positive impact on what I aim at. Success is something that helps me to grow. I would rather say having a balanced life is a “success” for me. Believing in yourself is the first step to success, identifying your short term and long term goals follows the next step. Keep monetary things aside. The 2 Fs – Family and my Food blog. Which is your favourite genre of books? My favourite genre of books is Food and Travel, followed by romance, Comics (yes, I still grab comics whenever I travel) and Self-help. What do you regret about your life? Still no regrets. Whatever came to me, I’d taken every bit of it positively. And here I would say again, “this is success”. Getting up every day to write something new, be it a new recipe or be it my food diary, gives me a lot of motivation. In one word, it is my work that motivates me everyday and so I get many opportunities to reading, writing and learning. What do like most while blogging? Who and what keeps you motivated? Besides blogging, what do you do in your spare time? Which blogger do you find more inspiring? Who and what inspired you to write your blog? You’re in charge now. Set another 11 questions and nominate 11 blogs. And, of course, answer to the questions too! Thank you again for the nomination and Congrats dear nominees. Happy Blogging! Congratulations!! Its a great feeling being appreciated by fellow bloggers! Keep it up!! Hi Sara, thank you for the nomination and Congrats. Hey.. thank you 🙂 and congratulations to you too! My pleasure Halee 🙂 and Congratulations! congrats on the award. and thank you so much for kind words and acknowledgement. and it’s a fantastic thing to make our weakness our strength. and interesting questions for your nominees!